initiates enforced collection measures against the alleged nominee or alter ego. A transferee Notice of Federal Tax Lien (NFTL) may be used to subject property to the government’s Federal Tax Lien (FTL) when property has been transferred or acquired in the name of a third party with the taxpayer’s funds. Some state laws may not recognize transferee NFTL without the judicial process or it may not be possible to show that the taxpayer acquired the property. paying state and local taxes on the property. You may not file a nominee or transferee NFTL without the written approval of District Counsel. Cases should be developed to withstand court challenge. Focus on the conveyance of the title. Requests should be for advice as to the need for a supplemental assess­ment, a new notice and demand and the language to be incorporated in the NFTL or levy. 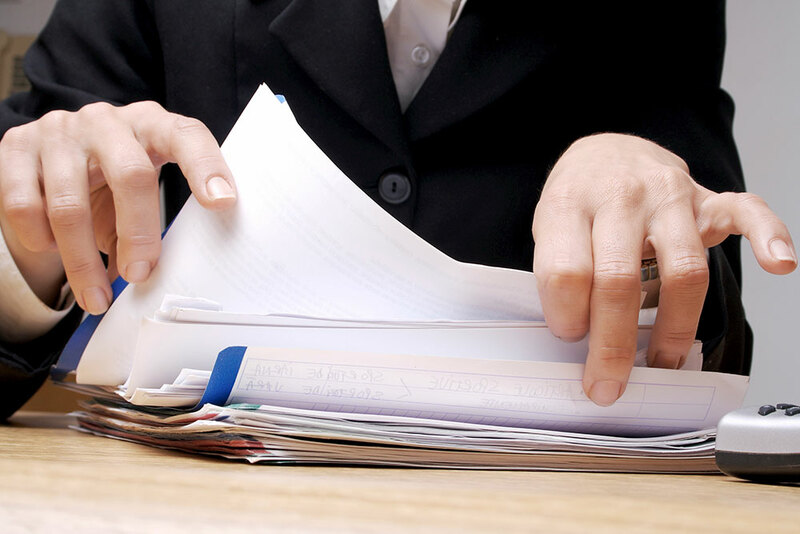 Prepare a report containing all of the facts of the case to accompany the request. Subsequent enforcement action is at the district’s discretion once District Counsel has approved application of the nominee or transferee theory in a case. In determining what additional enforcement action should be taken, consideration much given to the confusion in the chain of title and redemption rights by the taxpayer. These circumstances may depress the sale of the property. A judicial lien foreclosure or seizure followed by suit to foreclose the NFTL will generally bring a greater sale price particularly for real property. The IRS Manual provides procedures for the filing of nominee liens without the require­ment of a court order. The Collection Division must secure the prior approval of Area Counsel. Subsequent to the approval of Area Counsel, the IRS files a lien against the putative nominee. The IRS may also proceed to seize assets held by an alleged nominee. If the Internal Revenue Service has wrongfully levied on the property of a third person (not the taxpayer), the Code allows for an injunction to prohibit the enforcement of such levy or to prohibit the sale of the property if the levy or sale would cause irreparable injury to that person’s rights and property. [IRC § 7426] Such a suit must be brought within nine months from the date of the levy, except in the case where the owner makes a timely written request for the return of the property pursuant to IRC § 6532(c). If a request is made, the period is extended for a period of 12 months from the filing of the request or six months from the date the IRS rejects the request, whichever is earlier. Entitled to relief under Section 7426 is any person (other than the taxpayer against whom the taxes are assessed) who claims an interest in or lien on such property superior to that of the Government. An action to contest a levy or to recover any proceeds from the sale of property must be filed within nine months after the date of levy, or in the case of an action to recover substitute sale proceeds the date of agreement giving rise to the action. The short period of limitations is strictly enforced. The Service is under no duty to notify any persons of a levy other than a person in possession of the property subject to levy and the taxpayer. As a consequence, a third party may not know of seizure or sale of the property in which it has an interest will be foreclosed from recovering any amount from the IRS regardless of the merits or equities of the third party’s position The nine-month period of limitations is extended when a person claiming that the Service has wrongfully levied upon property timely files a written request for the Service to return the property. [IRC § 6343(b)] The filing of such an administrative request extends the nine-month period of limitations for an additional period that is the shorter of twelve months from the date of filing the request, or six months from the date of mailing by registered or certified mail of a Notice of Disallowance of the request for which the action relates. [IRC § 6532(c)(2)] For the administrative request to extend the period of limitations for bringing suit, it must have been made within the nine-month period. The Internal Revenue Service has occasionally erroneously seized property belonging to others because its employees have failed to accurately check public records to determine legal ownership of the property or have erroneously asserted nominee liens. Taxpayers have been forced to initiate litigation to prevent sale of their assets to pay liabilities of another taxpayer. The mere threat of such a suit is sufficient, in some instances, to convince the Internal Revenue Service to release an erroneous seizure without the necessity of actually initiating suit. This action is also appropriate if the complaining party holds a partial interest with the taxpayer, i.e. a joint tenant or security interest holder. The TBR1, effective November 10, 1988, created an entirely new cause of action against collection officers who abuse their authority. [IRC § 7433] The Act provides that a taxpayer may sue the United States if a collection employee “recklessly or intentionally” violates the Internal Revenue Code. [IRC § 7433(a)] Mere negligent conduct under that Act, however, was not sufficient to justify a cause of action. EXAMPLE 1 – A Revenue Officer seizes the assets of the taxpayer’s girlfriend to pay his taxes. The seizure is made without justification based upon the belief of the Revenue Officer that the girlfriend holds the property as a nominee of the taxpayer. The Revenue Officer is guilty of reckless conduct in seizing the girlfriend’s assets. EXAMPLE 2 – A Revenue Officer seizes the personal residence of the taxpayer without prior approval of the Area Director as required by the Code; [IRC § 6334(e)] The Revenue Officer may be guilty of reckless conduct in failing to obtain the Area Director’s approval for seizure of the personal residence. EXAMPLE 3 – A Revenue Officer seizes a business premises without the prior consent of the owner or a writ of entry issued by a Federal court. The Revenue Officer may be guilty of reckless conduct for failing to follow proper procedures in seizing taxpayer’s business premises. The 1998 Act revised IRC § 7433 to allow suits for negligent violation of the Internal Revenue Code in the collection of tax. Prior to this amendment, it had been very difficult for taxpayers to prove that an IRS employee had intentionally or recklessly disregarded the Code. IRC § 6901 provides that the Service may assess and collect income, estate and gift taxes from the recipient of a transfer for less than adequate consideration. IRC § 6901 may not be used to assert liability for collected taxes or excise taxes unless the transfer was incident to a liquidation. Litigation is not required to obtain assessments under the provisions of IRC § 6901. Such liabilities may be assessed and collected in the same manner as the taxes that generated the transferee assessment. Thus, the liability of a transferee may be made the subject of a jeopardy assessment. The running of the statu­tory assessment period is suspended in the same manner as the original tax, and such li­abilities, including accrued interest thereon, are subject to collection under administrative collection procedures. IRC § 6901 provides a method of collecting the unpaid tax liability “at law or in equity” of a transferee of property. As a general rule, the liability of the transferee “at law and in equity” is a question of state, not federal, law.” State law normally governs whether there is a transferee liability and the extent of liability, but this general principle is subject to certain qualifications. First, state law may not answer all questions relating to a transferee’s liability, and second, where a question is not definitively answered by state law, federal law is consulted. Third, certain transferee liability issues are not controlled by state law because the supremacy of the federal government prevents the application of state law. For example, IRC § 6901(c) establishes a Statute of Limitations for the asser­tion of transferee liability. The Statute of Limitation applies to a claim by the Service, instead of the shorter state Statute of Limitations required of other creditors to proceed under the state’s law. Finally, the government need not proceed under state law to assert statutory transferee liability in all situations. EXAMPLE 1 – If the Service wished to collect an estate and gift tax liability, it can proceed under Section 6324, which creates its own transferee liability, rather than state law. Similarly, where a fraudulent conveyance by a bankrupt taxpayer is at issue, the Bankruptcy Code would be applicable. With respect to tax liabilities for other than income, estate and gift taxes, the IRS must initiate a lawsuit against the alleged recipient. The IRS may also elect to litigate income, estate and gift taxes. The IRS may choose one of two types of suit. A suit to establish transferee liability. In the former suit, the government merely asks the court to set aside the conveyance and allow the IRS to proceed against the asset. In the latter suit, the IRS seeks a judg­ment against the recipient for the value of the property at the time of the alleged fraudu­lent transfer. Fraud in Fact [see §§ 5:100 to 5:102 of this work]—where actual fraudulent intent to hinder and delay creditors exists. Fraud in Law or in Equity [see §§ 5:98 to 5:99 of this work]—where the terms of any agreement or the nature of the transaction itself evidence a conclusive presumption in law that the conveyance is fraudulent. If there is insufficient consideration for the debtor’s transfer of property, even though there is no proof of intent to defraud, it is presumed “fraud in law,” which is fraud that is presumed from the circumstances. Even if there is apparent sufficient consideration for the transfer, “fraud in fact” may be established if there was a specific intent to defraud creditors. Where the terms of any agreement or the nature of the transaction itself evidence a conclusive presumption in law then the conveyance is fraudulent. If there is insufficient consideration for the Debtor’s transfer of property (which exists in any transfer to a ben­eficiary from an estate), even though there is no proof of intent to defraud, it is presumed “fraud in law or in equity,” which is fraud that is presumed from the circumstances. Even if there is apparent sufficient consideration for the transfer, “fraud in fact” may be established if there is a specific intent to defraud creditors. Generally, the elements of fraud in law which constitute a fraudulent conveyance are: (a) a gift or sale for less than fair market value, (b) a then-existing or contemplated indebtedness against the transferor (i.e., accrual of a liability not assessment), and (c) a retention of insufficient property by the transferor to pay his indebtedness (insolvency). There is no need for the Service to establish an evil motive to assert fraud in law. The Service is not required to prove intent but merely the three elements. The transferee may in fact have been an innocent recipient, but if the elements exist, the IRS will prevail. EXAMPLE 1 – An example would be a father who transfers most of his assets to a trust for his children and is later audited and assessed with a large deficiency for taxes which had accrued prior to transfer. In such an instance the IRS could attack the trust because the transfer meets the three tests, even though the father had no intent to defraud the IRS. There is no need for the Service to establish an evil motive to assert fraud in law. The Service is not required to prove intent but merely the three elements. The transferee may, in fact, have been an innocent recipient via a bequest in a will, but if the three elements exist, the IRS will prevail. An example would be a father who transfers most of his assets to a trust for his children and is later audited and assessed’ with a large deficiency for taxes which had accrued prior to transfer in such an instance, the IRS could attack the trust because the transfer meets the three tests, even though the father has no intent to defraud the IRS. Obviously, this could occur in many estate situations where the decedent had used aggressive estate planning techniques to avoid estate taxes. The IRS must prove an actual intent to defraud when relying upon fraud in fact to set aside a conveyance. Courts will look for “badges of fraud” in making a determination with respect to fraud in fact. Although the badges may amount to little more than suspicious circumstances, they may be used by a court to infer a fraudulent conveyance. The following is a list of “badges of fraud” which have been used by various courts to infer a fraudulent conveyance. FIRM 56(16)0.831 et seq. This is one of the most important “badges” of fraud. It is generally accepted that a person cannot give property away if it is to the detriment of creditors. If some consideration has changed hands, it may be necessary to determine whether the alleged inadequacy was due to an honest difference or dispute as to value, or if the consideration was a “cover” for a fraudulent conveyance. Although the possibility exists of proving that a conveyance was fraudulent even if consideration did change hands, the presence of adequate consideration is a strong defense. It is important to show that the transferor was either insolvent or heavily indebted. Any transfer made in contemplation of insolvency is invalid in the same manner as if there were actual insolvency. Some authorities feel that a transfer without consideration is presumptive proof of fraud subject to rebuttal by evidence of honest intent or by evidence of solvency. Insolvency need not always be proved to establish a fraudulent conveyance. It is usually sufficient to establish that the transfer did serve to hinder, delay, or defeat the payment of creditors. However, insolvency is a more important ele­ment of proof, if constructive rather than actual fraud is being proved. Insolvency, for purposes of this Chapter, means that the transferor’s liabilities exceed his or her assets. In most cases this action would leave the transferor without any means of paying creditors and would be highly indicative of fraud. However, it must be determined whether this property was transferred in an attempt to pay the transferor’s debts. If so, there may be no basis to invalidate the transfer without a showing that the government had legal priority over the cred­itor paid. The fact that the parties are related does not render the conveyance void per se. In jurisdic­tions where it would ordinarily be necessary to prove insolvency, if the transfer is between closely related parties the burden will be on the grantee to prove solvency. Moreover, the burden of dispelling the implication of fraud as against pre-existing creditors will be on the grantee if it can be proved that the grantor is insolvent after having made a voluntary convey­ance to his or her spouse or child. Generally, the law assumes that the transferor should be aware of the existence of his or her debts. Accordingly, the fact that the tax liability has accrued at the time of transfer is evi­dence of the debt; furthermore, it is not necessary for an assessment to have been made. In attempting to void a transfer, it will be helpful to show that the transaction was not made in the usual course of business. Examples of this would be sales made outside of usual busi­ness hours; failure of creditor to surrender the evidence of indebtedness; transferor request­ing cash prior to an inventory of the goods; failure to record an instrument that would normally be recorded; the extension of credit for an unusually long period of time to a purchaser without security; and failure of the transferee to properly inventory goods transferred to him or her. This would be inconsistent with a bona tide transfer. The same is true if the debtor continues to enjoy the use of the property transferred. It should also be determined whether there were any promises made by the transferee that could be of future benefit to the transferor. Relinquishment of possession is important to show a bona tide transfer. Retention of posses­sion may lead creditors to extend additional credit based on the retained assets. Retention of personal property is more indicative of fraud than retention of real property since the docu­ment transferring real property can be recorded. False or incorrect recital of consideration. Failure of transferee to produce evidence to rebut an accusation of fraud. False entries in books of transferor or transferee. Unusual disposition of the consideration received for the property. Assessment of the property for state tax purposes to transferor rather than transferee. In addition to the particular badges of fraud set out above, various other circumstances, singly or collectively, may constitute badges of fraud, such as the concealment of an alteration in the attestation laws of the conveyance; the transferee’s failure to keep a rec­ord of the dates and amounts of the loans or advances made by him to the transferor; failure to demand repayment; misdescription or insufficient description of the property transferred; sending the money received from the transfer out of the country; assignment of the property to the seller rather than the purchaser; and the fact that the purchaser, soon after the transfer, offered to resell the property at a much higher price. In order for the IRS to pursue either a judicial or administrative transferee based on fraud in law, the conveyance must have occurred subsequent to the accrual of a tax liability. If the taxpayer has conveyed property prior to the accrual of the tax, the IRS has no cause of action against the transferee unless it can prove fraud in fact.
) Plaintiff demands trial by jury. Linda K. Stone (“Plaintiff”) is a resident ofLake County,Illinois. The subject property is located inLake County,Illinois. currently resides on the property. Defendant is theUnited States of America. sued in this action by virtue of 28 U.S.C. § 2410(a). the event which gave rise to the cause of action occurred. asset of Linda Stone, as nominee of Jack Stone. Lien are attached as “Exhibit B”. title to the Property; having no force and effect. husband, for tax years 2001, 2002, 2003, 2005, 2006, 2007 and 2008. Plaintiff and Jack Stone in joint tenancy since its purchase in 1977.
separate federal income tax returns. of Plaintiff’s inherited funds was used to make improvements on the home. payments on the home mortgage. on the Property is without validity. the property which legally belongs to Plaintiff. United States has no right, title, or interest in the property. Plaintiff such other and further relief as the Court deems proper. MEAT INC., by and through their attorneys, Robert E. McKenzie and Kathleen M.
Defendant isUNITED STATES OF AMERICA. States in a district court of the United States. civil action arising under IRC §7426. its obligations with MidWest Bank and Trust . obligations for tax periods 9/30.2008 through 3/31/2010. hereto and made a part hereof as Exhibit A.
business during the foreclosure process. employment tax liabilities, a copy of which is attached hereto as Exhibit A.
but Defendant has refused to provide counsel with copies of those documents. made part hereof as Exhibit __. is entitled to and is the rightful owner of the funds in its accounts. of its attempt to claim Plaintiff is an alter-ego of Defendant. The revenue officer assigned to this case is Mr.
Officer’s decision is Ms. Hallas of the same office. was not an “arms length” transaction. release of the levy have been repeatedly denied. obligations including payroll, taxes, utilities, landlord, and vendors. Temporary Restraining Order and Permanent Injunction. T & Z Meats INC.
Meat Inc., by and through its attorneys, Robert E. McKenzie and Kathleen M.
The Complaint was filed on April 22, 2011.
already been taken by Defendant, and Plaintiff’s bank accounts are frozen. foreclosure action by Midwest Bank and Trust Company (“Midwest”). Plaintiff purchased the assets fromMidwest. and also incurring significant federal tax liabilities. and expressed an interest in purchasing the assets of the business. agreement with Midwest to purchase the foreclosed assets of Tountas fromMidwest, and later formed T & Z Meats Inc.
ability to continue in business. levied funds during the pendency of this suit. Defendant for funds due to Plaintiff. local, and federal tax returns. counsel with monthly updates of the above referenced books and records. “There are still lots of tax resolution services out there, but the three that filed for bankruptcy—TaxMasters, Roni Deutch and JK Harris—were the ones that engaged in heavy duty advertising on a national scale,” said Bob McKenzie, a tax partner at Arnstein & Lehr. IRS OVDP vs. Streamlined: What To Do?